President Trump’s recognition of Jerusalem as Israel’s capital has potentially destroyed the nascent Israel-Palestine peace plan prepared by his son-in-law and senior adviser, Jared Kushner. Little is known for sure about Kushner’s plan — which has been in the works since early 2017 — but the early signs suggest that it will strongly favour Israel. Secrecy has been a deliberate strategy employed by the notoriously publicity-averse Kushner, but there are several telling signs as to the potential substance of his plan. Breaking with decades of US policy, neither Trump nor Kushner has publicly — or reportedly even privately — pledged their support for the two-state solution. An offer made by Saudi Arabia’s Crown Prince Mohammed Bin Salman (MBS), a close friend of Kushner, could shed some light on the substance of Kushner’s plan, especially since Saudi pressure is likely a key ingredient in Washington’s peace proposal. In a November meeting, Palestinian and Lebanese sources reported that MBS offered PA President Mahmoud Abbas a quasi-sovereign state encompassing non-contiguous parts of the West Bank and presumably Gaza, with the East Jerusalem neighbourhood of Abu Dis — separated from Jerusalem proper by the Israeli separation barrier — serving as the capital. 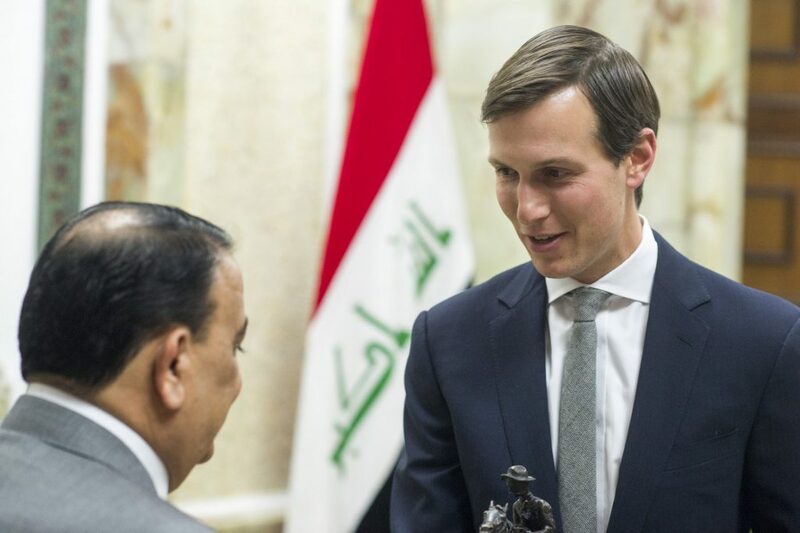 A Palestinian state in Gaza and parts of the Northern Sinai is also reportedly being considered by Kushner and his Arab allies. In either scenario, there would be no Palestinian right of return, but the fledgling Palestinian state would be bolstered by generous levels of Saudi finance. Trump’s recognition of Jerusalem has hardly assuaged Palestinian concerns, instead prompting a backlash that threatens to destroy Kushner’s nascent push. Already, Abbas has declared that the Palestinians will no longer accept any role for Washington in the peace process. This is a significant drawback for Kushner and Jason Greenblatt, Trump’s special representative for international negotiations, who are rumoured to have both strongly supported Trump’s decision to recognise Jerusalem as Israel’s capital. Kushner’s initiative follows years of failed attempts, which for decades have aimed at creating two peaceful, fully sovereign states. 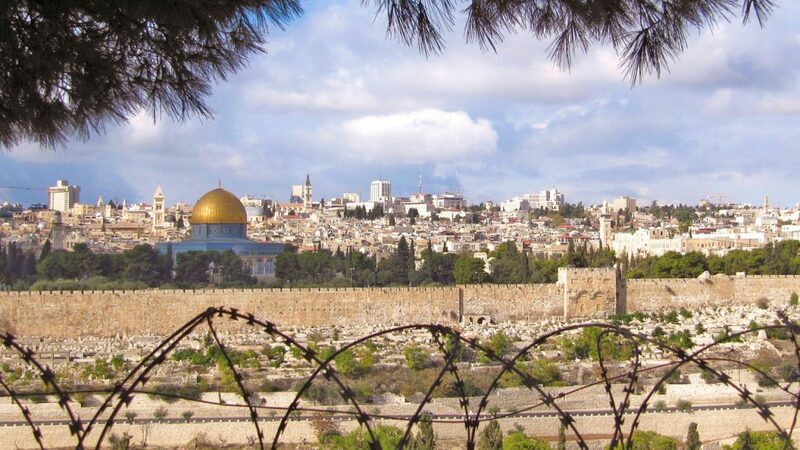 The sticking points of previous negotiations have primarily encompassed the status of Jerusalem, the future of Israeli settlements which crisscross the West Bank, and the right of Palestinian refugees from the 1948 war and their descendants to return home. For Palestinians — who only formally renounced their claim to the entirety of historic Palestine with their recognition of Israel in 1993 — a state with full control over the West Bank, Gaza and East Jerusalem would still be a historic compromise. It is for this reason that any ‘peace’ plan representing what was offered to Abbas would be highly unlikely to be accepted. However, the power imbalance which heavily favours Israel has not been kind to Palestinian aspirations. Since 1967, Israel has effectively controlled the entirety of Jerusalem and has built settlements in the West Bank housing almost 600,000 Israelis. Most recently, Palestinian leverage has been further eroded by the willingness of Arab states — many of whom have no formal ties with Israel — to at least tacitly cooperate with Tel Aviv. In large part, this is due to the the perception that the biggest threat to regional peace is Iran, a committed Israeli foe. Kushner is banking on these Arab states to pressure the Palestinians into formally accepting a quasi-state reality, which increasingly looks like a fait accompli. As the PA and the Palestinian economy are partly dependent on Arab and especially Saudi funds and remittances, economic pressure could be utilised. Subsequently, with the Palestinian question dealt with, Saudi Arabia and its allies would be free to publicly normalise ties with Israel. In return, Arab states would receive Israeli cooperation, including a demonstrated willingness to militarily tackle Iranian interests in Syria and Lebanon. Despite the situation on the ground and THE increasing willingness of Arab states to cooperate with Israel, do not expect to see Kushner’s peace plan succeed. The very first obstacle will be to get the talks off the ground in a meaningful way. Kushner’s own background — his family has consistently donated to the Beit El settlement and Israeli Prime Minister Netanyahu is even said to have have slept in Jared’s bed on a visit to New York — coupled with the Jerusalem announcement, will make this no mean feat. Even if talks proceed, do not expect them to progress. Put bluntly, accepting anything substantially less than a fully-sovereign Palestinian state occupying most of the West Bank with East Jerusalem as its capital would be political suicide for any Palestinian leader. This is especially true for Abbas who already suffers from a popularity deficit and whose credibility is inextricably tied to the success of the Oslo peace process. Abbas’s political rivals, Hamas, would also be in prime position to capitalise on public malcontent if Abbas was to be seen to acquiesce to Kushner’s plan. 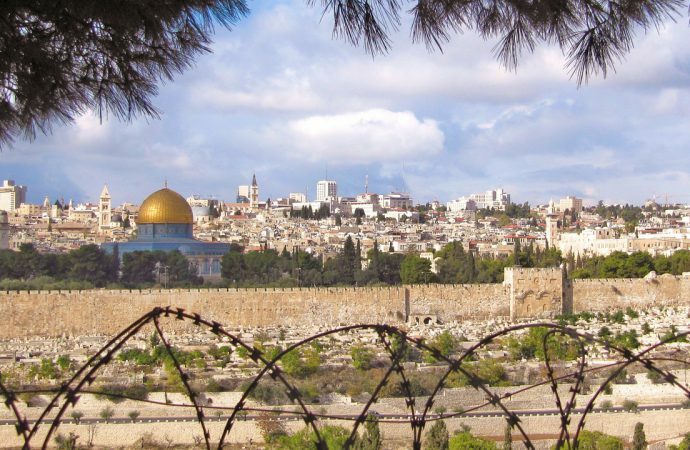 Moreover, even if the Palestinian leadership were to accept such a proposal, it is difficult to envisage the Palestinian populace — who have a demonstrated tradition of political autonomy — accepting any such proposal. The Saudis and Americans do not have absolute leverage over the Palestinians. Qatar’s resistance to the Saudi imposed blockade shows that there are always other sources of trade and political support in an ever dynamic geopolitical environment. Given the portentous nature of the Palestinian issue, which states have often supported to further their own credentials, it is easy to see actors like Russia, China, Iran and the EU becoming alternative sources of patronage and funding. As a possible sign of things to come, French President Emmanuel Macron appears to be increasingly positioning himself as a potential mediator. If, as is likely, Kushner’s plan joins the long list of failed peace initiatives, expect to see the Palestinians pursue alternative means of pressuring Israel, especially if no country fills the void left by the US as the ostensible champion of the two-state solution. 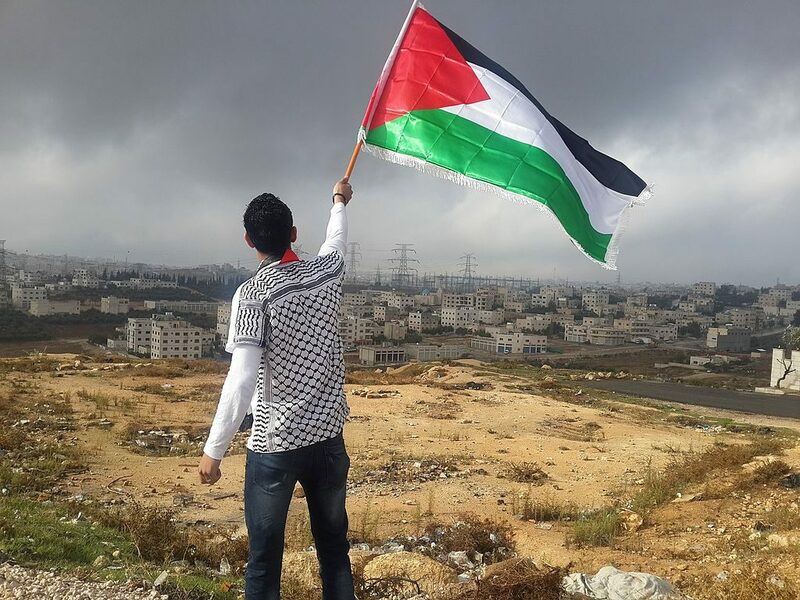 The Palestinians have many options at their disposal, including suspending security cooperation with Israel, campaigning for a one-state solution, and wholeheartedly embracing the Boycott, Divest and Sanctions movement against Israel. While these moves will probably not be pursued by the typically risk-averse Abbas, they could certainly be embraced by a next generation leader. Kushner appears to believe that the Palestinian leadership will realise their lack of leverage and be pressured into accepting an unfavourable peace deal. However, he may soon learn that the cold logic of New York real estate negotiations does not necessarily apply to the deeply emotive and intangible complexities of Israel-Palestine peace negotiations.